Indian Air Force Chennai Recruitment 2017 has revealed on their official website. Indian Air Force Jobs 2017 details can find on their recruitment. 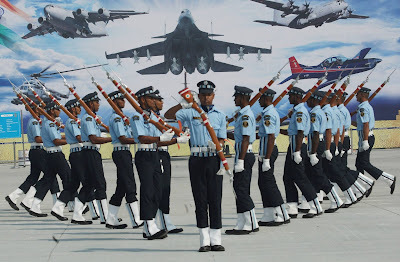 It has announced for Group ‘C’ & Various Job Openings, Want to know more details such as Syllabus, Age Limit, Eligibility Criteria, Exam Fee, Application Processes, Indian Air Force Admit Card Date, Indian Air Force Exam Date, Indian Air Force Result Date and Indian Air Force Last Date Details. Now check below all details. Graduation details : Matriculation pass or equivalent qualification . Each Quality Educational qulaification will be differ, You can find more details on notification. Age limit Range: 18-25 years. Upper age limit is relaxed by 5 years for SC/ST; 3 years for OBC, 10 Years for Persons with Disabilities (15 years for SC/ST PWD’s & 13 years for OBC PWD’s) and for Ex-S as per Govt. of India rules.